Social media is gaining increasing popularity with each passing day. Increasing number of people are using social media to connect with family and friends. This makes it a sensible decision to include social media marketing strategy a part of promoting your business endeavors. 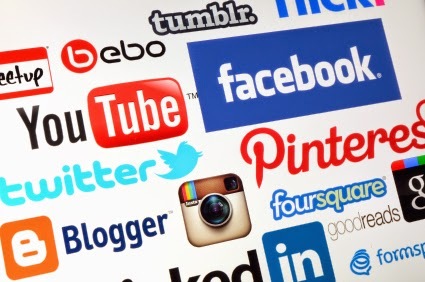 Social media sites as Face book, Twitter and YouTube can be used to promote business. The need is to make a judicious use of these websites to promote your endeavors. Twitter can be used in an effective way to promote the business endeavors. You can use Twitter searches to know about what all people are thinking about your business plans. This will help you develop a real time perspective of customer’s needs and choices. A viable way of succeeding in your Twitter endeavor will be to be imaginative and engaging at the same time. You can run contents for your potential users. This will help them develop an intimate bonding with you and connect in a better way. Post regular updates on the initiatives you are taking to promote your brand or category of product. Follow your clients on Twitter as this will instill a sense of faith in them and they will regularly look for your new innovations in the niche segment you are working in. Using Twitter intelligently is the need of the hour and in case you are able to follow the above listed measures, success is ensured. You Tube is another popular means of business promotion when it comes to including these social media websites in business promotion endeavors. The video based social networking site has a huge fan following. You Tube gives one the opportunity to connect with users via the video mode and convey the message in an interesting manner. You can shoot a home video and post the same on You Tube. Better results will follow if you decide to go the professional way and take services of a professional who can bring out the essence of your product in a refined manner. Engage professional content writers and people from your segment who can present your thoughts in a professional manner. Using SEO techniques to highlight your video matters a great, when it comes to grabbing attention and making headlines. Take help from professional content managers and they will ensure that your promotional video reaches its target audience. To connect in a concerted way with your audience you might need to offer them certain freebies. You can go in for a contest wherein the viewers might be rewarded with a free e book or valuable tips and discounts on your service. Face book is another viable method of promoting business endeavors. Increasing number of youth connect with family and friends through Face book. You can effectively include this social media website to promote your business endeavors. Face book gives one the option to create business page and promote the endeavors online. You can connect with people across the spectrum for free and promote your venture. Use this creative medium and take business promotion to a new high. You can engage people by offering them valuable discounts and freebies too. Better if you design your page in a professional manner and offer creative suggestions to people thus helping them connect in a better way. Facebook gives one the freedom to like your page too. Use this feature to your advantage and ensure that the people who connect with you maintain their loyalty for long. If you are able to maintain this tempo, the task of including social media websites for business promotion will turn into a winning proposition for you and your business endeavors. Try the same and reap the benefits. If you are a professional who has ventured into entrepreneurship ventures, LinkedIn can turn out into a worthy proposition. Create a LinkedIn profile and connect with your friends and others who are in the business. Maintaining professional presence on this platform will definitely increase your social reach and you will be able to connect with professionals in your field. Here too you can offer them valuable discounts and freebies. This will motivate users to connect with them. Alternatively, you can join LinkedIn groups that are similar to those in your niche segments. This too will help you increase your social reach and connect with people in your profession. Follow the above listed steps and you will be able to realize the true benefits of social media and use them effectively for business promotion.